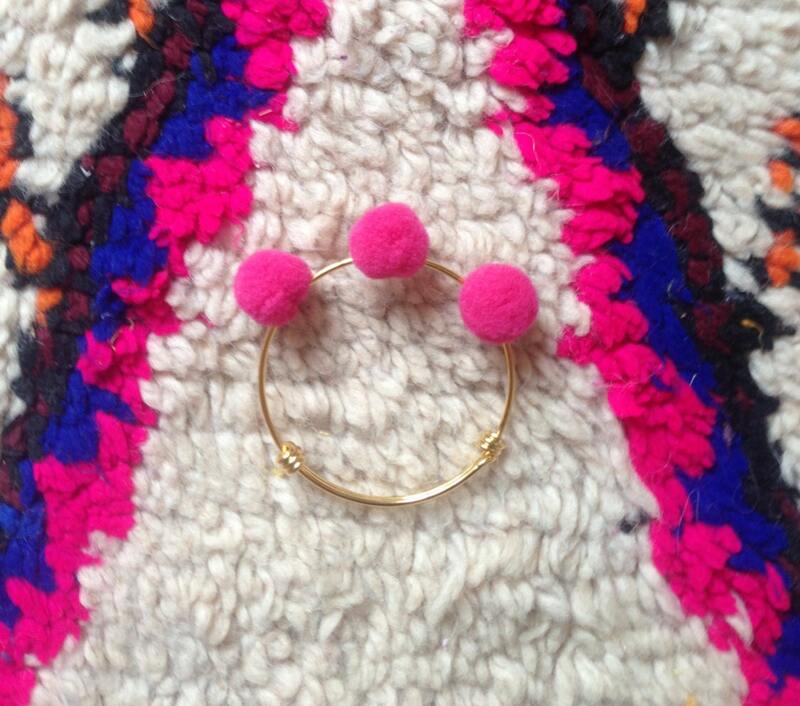 Gold Plated Stainless Steel Bangle with pink pom poms. 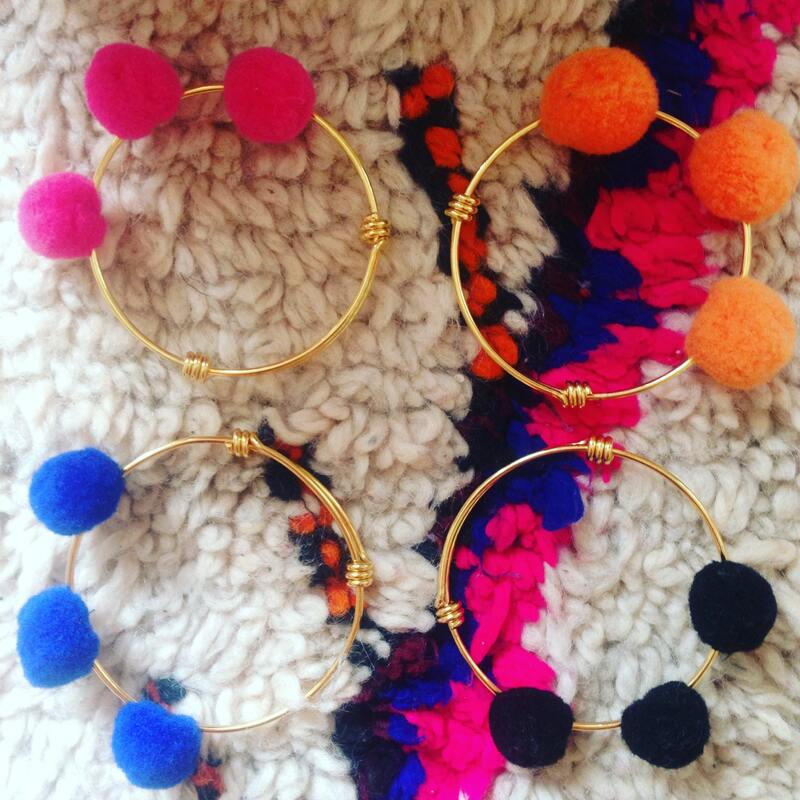 Expandable so that one size fits most. 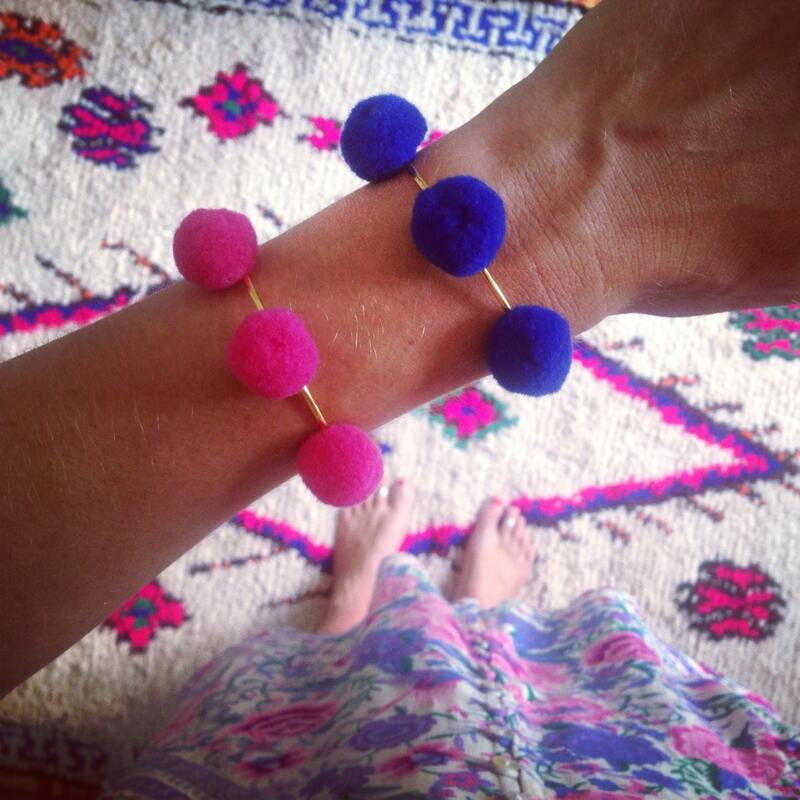 This listing is for one gold bracelet with three pink pom poms, shown in the first picture. 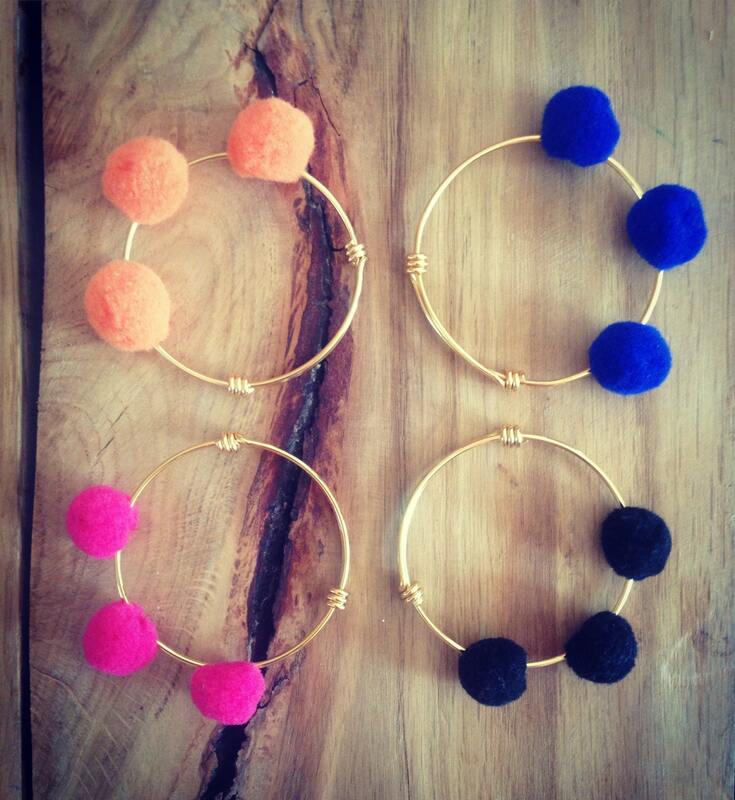 Other colours available are: Blue, Black and Orange or mix up the colours on one bangle.